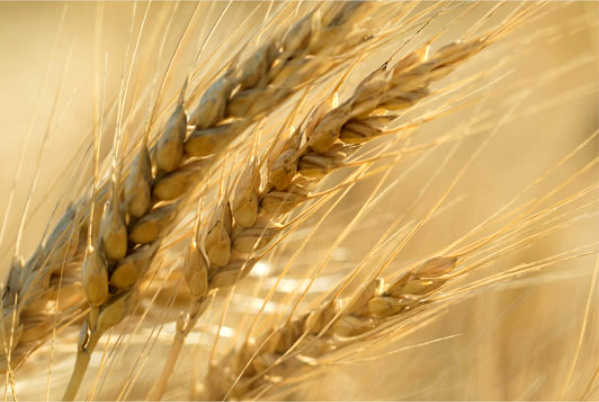 Wheat trade leads at midday with row crops action slightly lower. Corn trade is 1 to 2 cents lower at midday with trade fading slightly off as soybeans turn lower and wheat fades from the high. Ethanol margins remain tighter with corn at the upper end of the recent range and summer driving season winding down with ethanol futures down another penny or so this morning. Corn basis will likely continue to fade with more harvest activity building with the advanced crop and with the higher board. On the December chart, futures have support at the 20-day moving average at $3.78 which we are testing at midday with the post-report low below at $3.66 with resistance the recent high at $3.88. Soybean trade is 6 to 9 cents lower with trade backing off the highs seen overnight after the strong buying yesterday on talk of further trade negotiations with China and little fresh news this morning. Meal is $3.50 to $4.50 lower and oil is 5 to 15 points lower. Trade is well off the post-report lows, with late coming shorts getting squeezed out of the market. Basis continues to crumble ahead of harvest with early harvest just over the horizon and the export program under booked for fall. On the November chart support is at the $8.88 20-day which we are just above at midday, then down at the $8.51 one-month low printed on Monday. Resistance is the $8.99 1/2 weekly high then the $9.22 2-month high. Wheat trade is 8 to 15 cents higher at midday with volatile trade continuing with trade 20 cents higher overnight briefly with continued talk about export issues coming forward from the Black Sea with talk that eventually Russia will have an upper limit on exports this year, but nothing is confirmed or defined yet. Spring wheat harvest should continue to move along at a good clip. The strong U.S. dollar is keeping the U.S. less competitive on the world market with the ongoing issues with Middle Eastern importers focusing on the Black Sea for origination. Matif wheat solidly higher this morning, giving us support as well. Australia remains on the dry side with the crop pace ahead of normal as well with some relief for some areas. On the December Kansas City chart, we have support at the low printed yesterday at $5.60 3/4 then the 100-day at 5.55, with resistance the 10-day at 5.89, which we are just below at midday with the overnight high at 5.96.